What do you want your child to focus on? Individual attention, discipline and order help children focus on what matters. 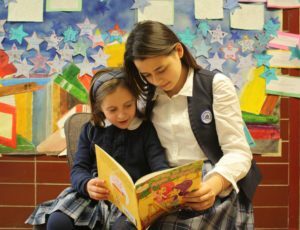 We take our responsibilities seriously when it comes to helping our students focus on the things that matter most: their school work, their progress, their futures, feeling self-assured about themselves in all they do, and doing God’s work in the world. We pay close individual attention to our students and we understand their strengths and weaknesses. We provide help when it’s needed, and encouragement when our students succeed at their school work, sports, activities, and service.